Are available for any holistic massage offered and can be mailed directly to the recipient of your choice. Appointments are available in the serenity of my Uptown office or the garden setting in Banker's Hill afternoons and evenings Tuesday thru Friday and all day Saturday. Call me at 619-203-3731 or drop me a line to set up your next appointment. In consideration of others needing an appointment, a 24 hour cancellation notice is requested. Missed appointments effect everyone. A $50.00 free will be charged for no-show or same day cancellations. Description: 60 minute intense energy and holistic focus on one or two areas of the body. Ie, lower back & feet or head, neck and shoulders. Description: 90 minutes full body holistic massage and energy healing treatment. Totally relaxes the physical and balances the mental and emotional states. Recommended for the first appointment. Outcall massage $160 per person flat fee for 1.5 hour sessions. 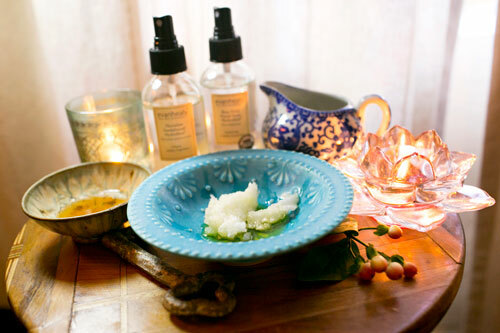 Holistic massage sessions are inspired by intuition and the intention to help. As I work, information comes to me that may help you move forward in life and affect you in a meaningful way. I receive strong impressions which guide the content and duration of each session. Our relationship is an equal partnership. I encourage you to freely communicate during the process, use deep breathing to access the body, go within, and notice what changes. 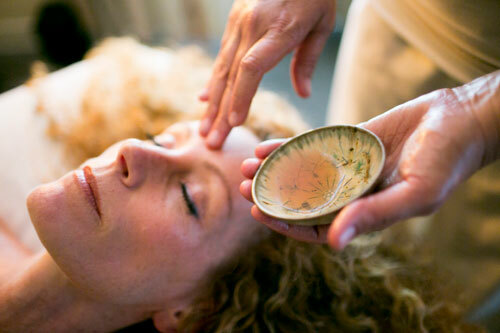 The fee includes any combination of the following: Aromatherapy Anointing, Belavi Face Massage, Detoxify Foot Bath, Energy Balancing Esalen, Jin Shen, Pregnancy, Post-partum, Reiki (Usui Master, Shamballa Reiki Master), Sensory Re-patterning, Swedish, Shiatsu, NMT, Trigger Point Therapy, Theta Healing, and Reflexology. Invoke the sacred power of plants and explore the divine as you relax in a sensual cloud of organic custom blended aromas selected to enhance your experience. I use the organic mastermind blends of Ani Adams-Bucholtz & her company Blue Moon Aromatics exclusively in this process because of the purity and joyful exuberance of her blends. Precious oils are inhaled, steamed and anointed while I balance and unblock the body's energy centers. Essential oils are able to reach the inner recesses of the mind and release stored emotions and memories which can lead to a sense of emotional freedom. This ritual honors and remembers the higher life force which animates and expresses through you as you. Flower essences are liquid, potentized plant preparations which convey a distinct imprint, or etheric pattern, of a specific flower. Originally developed in the 1930's by the English physician, Dr. Edward Bach, flower essences enjoy a reputation of being highly beneficial and safe to use. Because they contain only minute traces of physical substance, flower essences are not classified as biochemical medicine. They address the subtle but very important realm of the human psyche where thoughts and feelings emanate. There are over a thousand flower remedies available today. Finding the specific combination for your highest good is my honor and delight. E-mail and phone consultations are also available. $120 for 2 hours/ $80 an hour and $40 per ½ hour. A sensory rich experience designed to restore body, mind and soul. My signature work. It permeates the 5 bodies, clears blocks, heals what's up, and profoundly informs YOU of your true nature and overarching soul state. Also if any psychic information comes through, I'll be happy to share that during or after your session. Office Locations ** New Location! 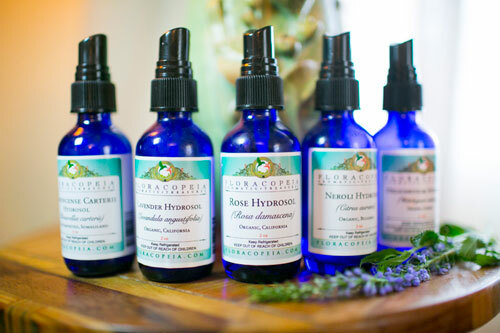 Holistic health practitioner Brenda Goodell offers holistic massage therapy including bodywork, energy medicine, energy healing, aromatherapy inhalation and flower essence counseling in San Diego, CA.